At the start of September, a South Korean gaming board classification popped up for Puyo Puyo eSports. A few weeks later, Sega confirmed the digital-only title would be released in Japan on 25th October. As the launch date draws closer, there's still no information word from Sega about the game being localised. 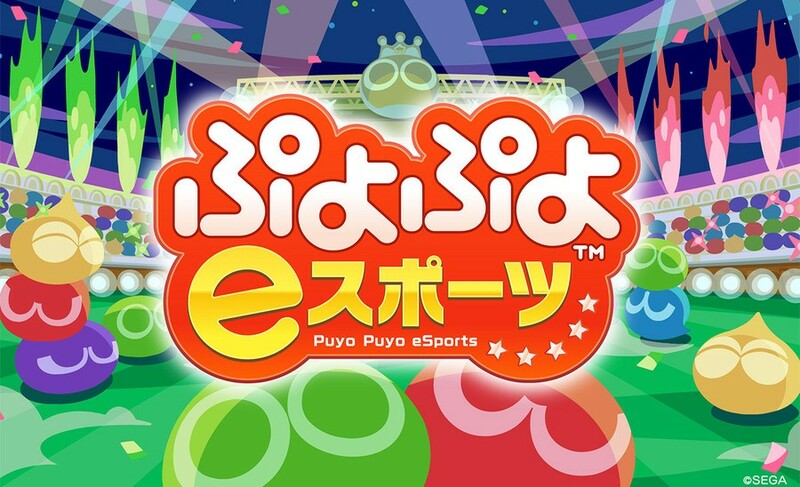 At a Puyo Puyo eSports event, the professional player Tom Nadja asked Sega for a localised version of the game on behalf of the fans. Sega responded to this by saying it was currently thinking about releasing the game outside of Japan. The last Puyo Puyo game Sega released in the west was the Tetris mashup. The latest entry in the Puyo Puyo series includes the series' standard play and a few rules from Puyo Pop Fever. There are also online battles, an eight-player offline tournament mode and 24 playable characters to select from. Would you like to play the eSports version of Puyo Puyo eventually? Did you play the Tetris mashup? Tell us below. The content in this seems too similar to what's already available in Puyo Puyo Tetris. @OdnetninAges Exactly. I've yet to play Chronicles, so I'd so be on board for that. I’m not very good at Puyo Puyo at competitive play but I do enjoy it a lot. I love the cross over game with Tetris. @shonenjump86 Yeah! It is definitely a longstanding hit on my Switch. SEGA still HASN'T localized Puyo Puyo Chronicles 3DS on English version ! @MagicEmperor I hear ya, its definitely a fun game to come back to every now and then. I'm so addicted to Puyo Puyo Tetris that I'm one of the guys online with over 10,000 points. That said, I'm only okay-ish at Puyo's gameplay. I might have to side with @OdnetninAges and hope for a more interesting game in the series to be released in the West, but eSports does have me a little intrigued anyway. An esports version? I can barely handle the cpu, let alone real people! @OdnetninAges Except that I feel that PPT has more than what eSports has, in my opinion, and that's putting aside Tetris. I preffer chroniches, im not that competitve. Personally I couldn't care less, and I got the Puyo vs Tetris game. Competitive puzzle gaming has never been my thing. If they translate it to english, people can manage getting it on the Japanese eshop. 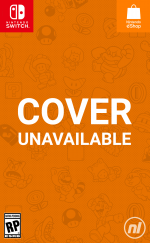 @OdnetninAges I'd even be ok with the 3DS version! With the Switch being region free, western players can enjoy the game even if it doesn't get localized. That said, I hope we get an official localization. Or we could keep playing Puyo Puyo Tetris and they can localize PSO2. DO IT SEGA!!! I bought Puyo Puyo Tetris twice; once for the Xbox One and another for the PS4, and may buy it a third time for Switch because I love Puyo THAT much. I even have Puyo Pop Fever. You have made a decade-long dream come true for me when you released Puyo Puyo Tetris to the States. I would buy PPeS for every console you release it on if you just bring it over here. Please, SEGA. Just do it. I prefer their focus to be on the classics!! What’s next M2?? While I agree with others here about preferring Chronicles, SEGA localizing any Puyo game would be great news. The more games they localize, the more likely they will continue to localize down the line. I want a tetris only version of puyo puyo tetris by sega. The tetris multiplayer is great, but I hate getting paired with Puyo players. It's not as much fun. Would prefer Chronicles. If it does not end up on Switch, however, then eSports. Do not play the 3DS anymore, so have no incentive to buy a localized Chronicles unless the game itself is up and running properly on Citra.